The holiday season fun is almost over and it’s back to reality… but are you already facing reality when trying to stuff your thighs and belly into your jeans post-holiday? Ouchy!! How do you reel it back in when you have spent a month chanting the mantra, “Chocolate and Wine, Chocolate and Wine”?! and eating all those extra, decadent goodies because “it’s the holidays”? Many patients ask for my help to get things back in control and really there isn’t just one way to do it. Here are my recommended 5 easy steps that can get you back on the right track and none require you take a painful step on a scale! Whew to that one! In fact, I would avoid the scale. For most people a scale is not a motivator, it’s a deflator, so avoid the hard cold numbers for now because they can be misleading. Start flushing those toxins with LOTS of water. Typical water dosing is drinking half your body weight in ounces. Example, you weigh 150 lbs. drink 75 ounces of water a day. This will seriously begin to reduce the bloat and jump start the release of toxins from your liver, kidney and lymphatics as well as quench your cravings for sugary and starchy food. Besides with 75 ounces of water in your belly who has room for food!! Add some lemon for an extra benefit of increased metabolism, and decreasing acidity in your body. Ditch the alcohol! Ok …Slowly put the egg nog and bourbon down and step away…. When I said back to reality I meant it! Replace your cravings for these sugary mind vacation treats with a green smoothie and a scoop of protein. Use as a snack or a meal replacement. Next time you crave alcohol, make a smoothie. Never mind that the sugary and fat-laden mixers are calorie loaded but alcohol itself is 7 calories/gram (compared to 9 calories for fat and 4 calories for protein) and it’s liquid so those grams go down super-fast! Reduce calories. Keep the calorie count between 1,100 and 1,200 per day for fastest weight loss. A quick calculation to find calories needed to “maintain” your weight would be to take your weight in lbs. and multiply it by 10. Ex. 150 lbs. X 10 = 1,500 calories. This is the amount of calories you need to eat per day to maintain your current weight. If you want to lose you must go below this. Having a degree in nutrition, I have many tedious calorie calculations I could give you but why bother, the calories generally come out the same anyway. Now if you add exercise to the mix you may be able to lose weight even quicker! Get moving. Any motion is good but I would advise to get walking at least 4 x’s/week. If time is an issue you can break it up. Take 30 minutes and break it up into two 15 minute walks. Use the stairs in the office, park the car in the furthest space to maximize your walking time, get up early in the morning and walk before the onslaught of morning commuters, use your lunch time for a brisk walk rather than a hefty meal. Get the point? If it’s cold outside, even better! Don’t use that as an excuse! Many studies have shown cold weather to increase metabolism, so don’t let temperature detour your exercise and weight loss. Ditch the grains and replace with veggies! Yes, the grains and I mean all of them, wheat, corn, rice, potatoes, pasta…. Relying on veggies as your main source of carbohydrates and low-glycemic fruits (apples, berries, kiwi, grapefruit) in the morning will help break a weight-loss plateau and sugar cravings. Be sure to have at least one large salad as a meal per day. I don’t care if you make the salad your breakfast, lunch or dinner just have one! Be sure to make your last meal of the day a good piece of organic meat or protein and just veggies. Nix any carbs at all for your last daily meal and be sure you eat it at least two hours before lights out! I am always ready to help. Make your appointment in the office and I will always make 1:1 time with you and hold a healing space for you. Ask me about a personalized detox program just for you or join any of my upcoming group detox programs for more support. Or, call my office for details. Another great way to begin your health regime is by having a Remote Healing Session with me, which are available to you so you can begin to create a plan and jump start your health and healing into the new year. These session are generally 1-2 hours depending on how much material you would like to cover. Please don’t forget I have an Far Infrared Sauna and Footbath to aid in your detoxification needs. As a Holistic Doctor who specializes in treating the whole patient, it surprises me how many new primary complaints of my patients are related to digestion problems in the form of bloating, pain, gas and indigestion. This rivals the other common complaint of “chronic fatigue”. It makes sense to me though because when you are unable to use food to nourish and resupply the body of vital nutrients, of course, you are always tired and fatigued. When there is a constant association of fear with food, when you are always thinking about what you are going to eat, how you are going to feel in an hour or even the rest of the day simply because of one meal, it becomes utterly exhausting. Add to that the lack of nutrients actually getting to your cells and it becomes overwhelming. A new peer-reviewed paper published in the Journal of Interdisciplinary Toxicology (Vol. 6(4): 159–184 ) by Doctors Anthony Samsel and Stephanie Seneff shows that celiac disease, gluten intolerance and irritable bowel syndrome are on the rise worldwide, and that rise has taken place in parallel with the increased use of glyphosate, the herbicide in Roundup. The Doctors researched the known effects of glyphosate along with the symptoms associated with celiac disease, gluten intolerance and irritable bowel syndrome. They identified both chemical and biological pathways where glyphosate can be the cause of these diseases. Non-organic wheat farmers for nearly 20 years now have been routinely using glyphosate as a “crop desiccant.” It gets applied to the field 7-10 days prior to harvesting the crop to dry it down and for uniformity. If that is not bad enough, these same farmers also use RoundUp during the growing season to assist in weed control. Roundup kills plants by interfering with a biochemical pathway involved with synthesis of amino acids, in the good bacteria in our gastrointestinal tracts. This important pathway found in our gut bacteria is vital to our intestines making enough essential amino acids as building blocks for our body. By interfering with the biochemistry of bacteria in our GI tract, consumption of glyphosate depletes essential amino acids and predisposes humans to a host of chronic health problems. Depletion of these amino acids can contribute to obesity, depression, inflammatory bowel disease, and other neurological disorders. When you consider Roundup is put on some of the major ingredients in all foods Americans eat, specifically corn, soybean, canola, cotton, wheat, all grain crops, rice, seeds, dried beans, peas, sugar cane, sweet potatoes, and sugar beets there is no reason to assume we aren’t all affected. Recent studies have shown glyphosphate to be a cytochrome P450 inhibitor. This is the major detoxification pathway that the liver uses for all toxic metabolites in the body. The result of the breakdown in this pathway is toxicity and metabolic waste begin to overflow and there is no way to get relief or remove them from the body. People begin to get toxic and chronic illness appears insidiously. You can protect yourself in 4 different ways through detoxification of your body. These principles are a requirement, not an option, for anyone interested in getting better from a chronic illness or maintaining your health. You can start by taking Epsom salt baths to open and drain the lymphatic vessels. Soaking in a tub of warm water mixed with 3 cups Epsom salt and one 16 oz. bottle of 3% hydrogen peroxide for 20-30 minutes is one of my favorite methods (if you use food grade hydrogen peroxide, use only about 4 oz. in your bath). It makes you feel great and helps elimination of toxins and relaxation of muscles. It also provides oxygen to skin and other vital organs. 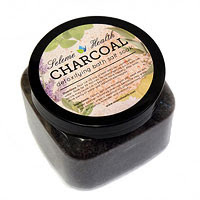 I recommend adding my Charcoal Detoxifying Bath Salts along with the epsom salt and hydrogen peroxide to receive the extra benefits of other ingredients like charcoal, bentonite clay, and essential oils (available for purchase at the office and online). Support your body’s natural detoxification by supplementing with N-acetyl-cysteine or N.A.C. This will help produce glutathione, a primary antioxidant and important nutrient produced in every cell of your body, especially your liver. Glutathione’s role in detoxification is paramount due to the fact it supports both major phases of detoxification in the liver. It breaks down harmful xenoestrogens, heavy metals, pesticides and fat-soluble toxins stored in adipose tissue. The next two herbs, I personally take every single day to make sure I keep my liver open and flowing. Milk Thistle and Dandelion Leaf are two extremely valuable herbs used to strengthen your liver natural ability to detoxify. Milk Thistle helps regenerate the liver cells, promotes more glutathione production, may have anti-cancer properties, aid in gallbladder function and help decongest kidneys, spleen and veins. While Dandelion leaf can promote healthy lipid profiles, reduced insulin resistance, and suppress fat accumulation in the liver. Small intestine are vital, since most of your immunity live here. Supplementing with an amino acid called L-glutamine aids in sealing and healing the leaky gut holes created in the small intestines. This is where harmful food toxins and proteins can cross over and get into the circulation causing autoimmunity and food allergies. Prebiotics such as arabinogalactans act as a food source for friendly microflora and the probiotic lactobacillus sporogenes, a sporulated hearty bacteria, can help re-inoculate a weak gut within hours. These products are available for purchase at the office. Various other antioxidants used to support your body’s ability to detoxify and defend can be found in BioProtect, a product we carry in our Seleme Health Detox Kit. This is a simple yet elegant way to keep the flow of the liver and the ability of the cells to slough off even the most toxic waste. This has CoQ10, selenium, zinc, Vitamins A, E, and C—all the vital nutrients the liver uses to dump waste. Chelation can be accomplished with the use of Spirulina, a blue-green algae or Chlorella, a green algae, which contain a nutrient called chlorophyllin, a compound which binds toxic metals in the gut. Zeolite a naturally occurring mineral, is another great way to bind and capture heavy metals. 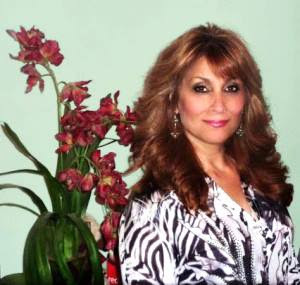 Our office has multiple detoxification processes available for your health needs. Two times per year we conduct a 21-day group detoxification program. Our next group session begins October 18, 2015. You may want to consider joining us in our personal effort to stay clear of these very harmful toxins in our world. If you are feeling motivated enough, you don’t need to wait for our fall date. You can begin as soon as you feel ready. As I always tell my patients “healing begins today”. Did you know the top 7 GMO foods to avoid are corn, soy, alfalfa, cottonseed, papaya, canola and sugar beets? We are in a war to fight for our rights to eat food unadulterated. Our government doesn’t to understand how sick our country has become due to our extremely toxic and disruptive foods sources we now have. I am seeing more and more young children in my office who are suffering at such early ages now. Many from the start have food allergies, immune system dysfunctions manifesting as eczema and asthma, not to mention neurological disorders couple with learning disabilities. There is no research needed as far as I am concerned as to why so many have health problems. The ONLY place we need to look is our environment and the damaging things we are doing to our food. Here is a great article by naturalnews.com on the top GMO foods to avoid. (NaturalNews) Genetically modified organisms (GMOs) are plant and meat products that have had their DNA altered and possibly mutated in some laboratory, and it’s all coined as the evolution of science and biotechnology for agriculture in order to fool the masses into believing that it’s for “our own good.” They (biotech giants) even teach it in schools and at Disney World now, and they say it all without ever telling anyone what they’re REALLY doing, and that is inserting the genes from other plants, animals, viruses and bacteria into food — often in the form of pesticides that can’t be washed off.